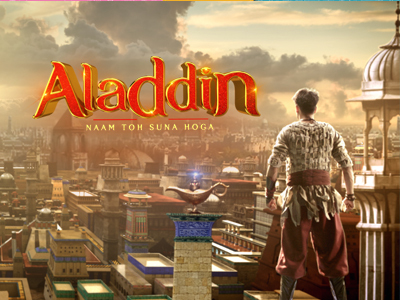 Aladdin is inspired from the book - ‘The Arabian Nights’’ and is presented in a fascinating form by Sony Pictures Networks India. It is an age old fantasy tale of a young boy and his struggles around his family and love. He is a lovable rogue, hopeless romantic, a poet and a righteous thief. He is an ambassador of happiness, who with his sheer presence and persona is able to spread happiness and positivity around. On his journey Aladdin bumps into the magical lamp which possesses a mysterious Genie and they become friends.